The Bootlegger is an infamous character from one of America’s most pivotal periods-Prohibition. The act of smuggling alcohol and goods through the back country has heavily influenced the paths we take though the state as well as the reasons for why the distilleries chose to plant themselves where they did. For those looking for the best combination of craft, brand, history and future, come with us down this legendary trail of distilling though Kentucky’s scenic back country. With stops at Maker's Mark, Woodford Reserve and Limestone Branch, you'll experience the past, present and future of Kentucky bourbon. At each stop you will complete a distillery tour and tasting. All distillery tickets are included, as well as chauffeured luxury transportation for the full day. 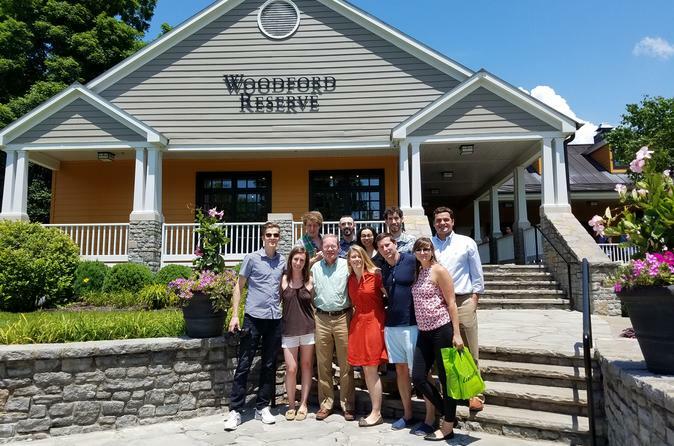 This dynamic tour takes you back in time to two of the oldest and most popular distilleries on the Kentucky Bourbon Trail - Maker's Mark and Woodford Reserve, followed by a look to the future with a hidden gem off the beaten path, Limestone Branch, quickly growing in demand for their moonshine and artisan bourbon. For those looking for the best combination of craft, brand, history and future, come with us down this infamous trail of distilling though Kentucky’s scenic back country. This tour includes flavorful hors d'oeuvres and snacks to complement the bourbons you'll taste throughout the day. You will have plenty to snack on throughout the day, but we always have a scheduled lunch stop in the event that you are still hungry. In addition to food we provide waters, ice, napkins, sodas and silverware. You are welcome to bring your own snacks, alcohol or small cooler with you as well. Times shown are based on a typical tour schedule. Tour times and destinations are subject to change based on distillery availability. Lunch is recommended but not included, for which you can bring your own packed lunch or anticipate around $15 per person at the chosen lunch stop to be determined by chauffeur and passengers after the first stop. All Guests must be 21+ for group tours, or on private tours if guests wish to drink alcohol in the vehicle. PLEASE NOTE: Distilleries prohibit alcoholic beverages to be consumed on site. Smoking on the grounds or in the vehicle is strictly prohibited. An initial gratuity is included for the driver, but additional gratuities are welcomed.